It may sound crazy, but many scientists believe that <a href="https://inhabitat.com/solar-power-from-space-by-2016/">space-based</a> <a href="https://inhabitat.com/solar-power/">solar power</a> (SBSP) represents our greatest hope for solving the global energy crisis. The technology has the potential to revolutionize the way we harness energy. 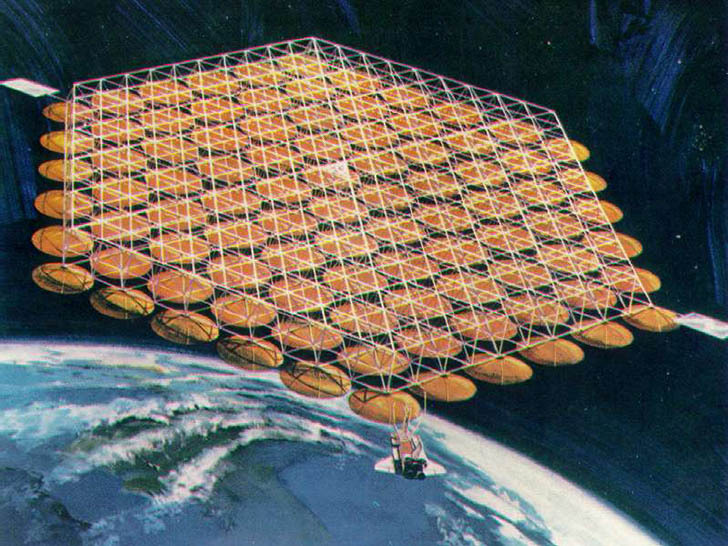 Back in 1968, Peter Glaser, a renowned American scientist and aerospace engineer, proposed the concept of <a href="https://inhabitat.com/design-for-the-first-practical-solar-power-satellite-concept-unveiled/">launching photovoltaics into space</a> that are capable of transferring energy wirelessly back down to Earth. <a href="https://inhabitat.com/tag/nasa/">NASA</a> has now been working on SBSP for more than three decades, but there`s still much research left to be done. 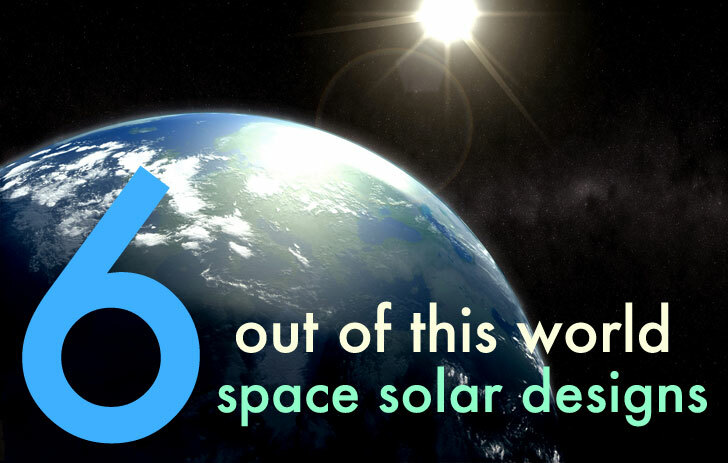 Read on for a look at 6 of the most promising space-based solar power designs! 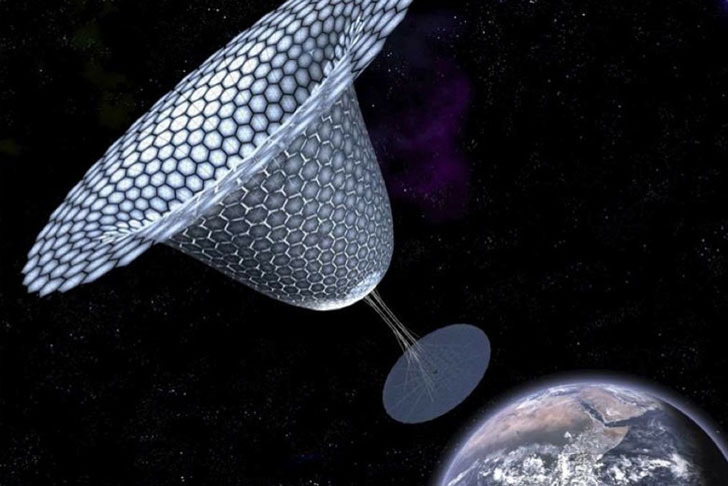 <h3><a href="https://inhabitat.com/design-for-the-first-practical-solar-power-satellite-concept-unveiled/">SPS-ALPHA</a></h3> This margarita glass-shaped space setup is nicknamed, <a href="http://www.nasa.gov/offices/oct/early_stage_innovation/niac/mankins_sps_alpha.html">SPS-ALPHA</a> - which is short for Solar Power Satellite via Arbitrarily Large PHased Array. It consists of a large array of <a href="https://inhabitat.com/tag/thin-film/">thin-film</a> mirrors attached to the curved surface of a massive satellite. These mirrors are moveable and will be used to redirect incoming Sunlight towards the solar cells that are fixed on the backside of the device. A collection of microwave power transmission panels is placed on the Earth-side of the array, which enables the transportation of the electricity generated by the solar cells to earth in the form of radiowaves. John Mankins, the leader of the concept says: "The needed next steps are to develop a working prototype of one or more of the modules and demonstrate the assembled system in the field. Over the next several years, the goal is to realize a low-Earth orbit flight test of the system." 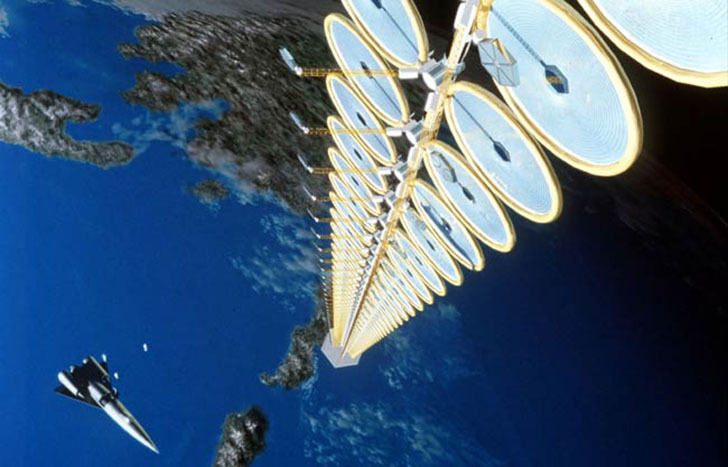 <h3><a href="https://inhabitat.com/japan-plans-21-billion-solar-space-post-to-power-294000-homes/">JAXA's SBSP System</a></h3> <a href="https://inhabitat.com/japan-plans-21-billion-solar-space-post-to-power-294000-homes/">Japan Aerospace Exploration Agency (JAXA) </a>is aiming to launch their space-based solar power prototype by 2020, with plans to set up a full system in space by 2030. JAXA`s SBSP system is a satellite designed to run in stationary orbit 22,400 miles above the equator, where it will absorb sunlight with chromium-enhanced solar cells. 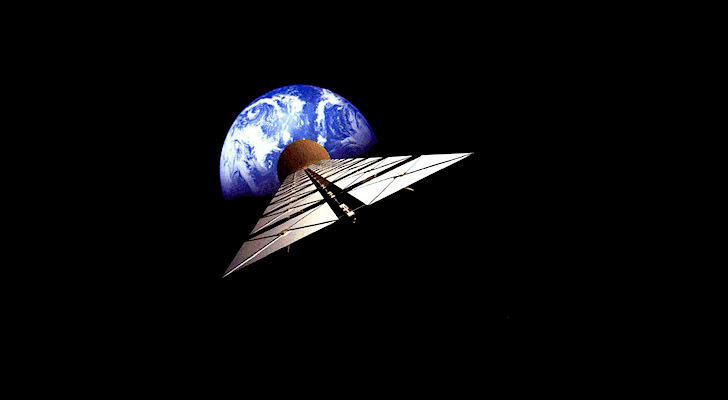 Neodymium plates fixed on the satellite's surface will zap the energy down to Earth by using laser beams with 42% solar-to-laser energy efficiency. Current estimations predict that a single solar SBSP satellite in space would be able to generate enough energy to power 500,000 homes. <h3><a href="https://inhabitat.com/solar-wind-energy-could-provide-100-billion-times-earths-energy-needs/ikaros1-2/">The Dyson–Harrop Satellite</a></h3> Even though <a href="https://inhabitat.com/solar-wind-energy-could-provide-100-billion-times-earths-energy-needs/ikaros1-2/">The Dyson–Harrop Satellite </a>is technically not a space-based <em>photovoltatic</em> power design, it does harness the sun's energy for the good of the planet. This satellite is in really a giant “sail” – 8,400 kilometers (5,220 miles) wide – designed to harness solar winds. The sail generates a magnetic field by pointing copper wires at the sun. This field is capable of capturing the electrons found in solar winds, which in turn are funneled into a spherical receiver that produces a current (a fundamentally different approach than photovoltaic solar panels). The plan is to send this energy back to Earth with powerful infrared laser beams. The total potential for harnessing solar winds is<a href="http://journals.cambridge.org/action/displayJournal?jid=IJA"> 1 billion gigawatts of electricity</a>, so figuring out how to tap into this energy source could be a revolutionary step for mankind. <h3>The SunTower</h3> The SunTower is a supertall gravity stabilized structure that uses inflatable circular <a href="https://inhabitat.com/tag/solar-concentrators/">solar concentrators</a>, multi-junction solar cells and magnetron segments to transmit the suns energy down to earth. In laymen terms, it is similar in design to a sunflower, with the flower facing the Earth and sending the energy down the stem using microwaves. The predicted cost – before any energy has been produced – of one SunTower is estimated at $12 billion. Though the SunTower is an interesting concept, it soon became clear that the approach could only deliver power to a given ground station for a few minutes a day. <h3>The SolarDisc</h3> This SBSP concept involves an axisymmetric, modular space segment that extends in geostationary Earth orbit. It is covered with high efficiency thin-film solar cells. One SolarDisc along with its ground component could be scaled to produce as much as 10 GW of energy. <h3>The European Sail Tower SPS</h3> The European Sail-Tower SPS (short for Solar Power Satellite) is a large tower-like orbital system that is similar to the Sun tower. The satellite deployes rectangular solar panels from sail-like structures that line the sides of the tower. 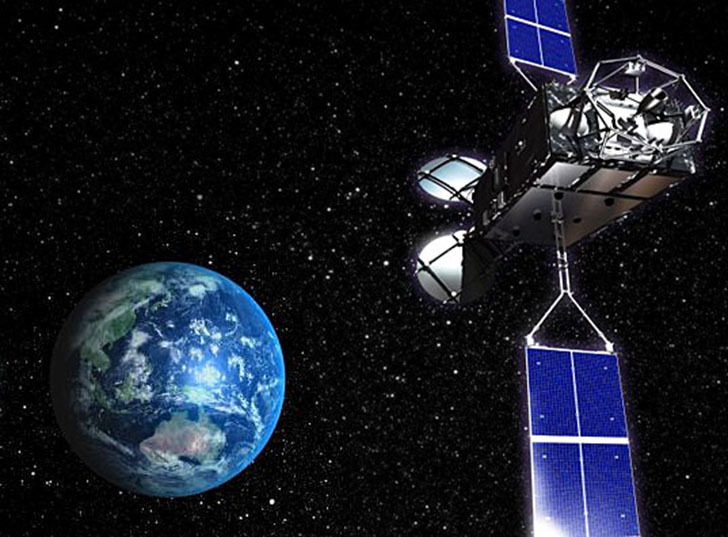 The satellite stays in orbit and generates electricity that is transmitted back to Earth via microwaves. This design was developed in the late 90s, although there hasn't been much activity in the last couple of years.